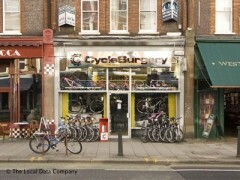 About: Cycle Surgery sell a wide selection of bikes and accessories including saddles, chains, pedals, padlocks and helmets to name but a few items. In addition to this, they also have a same day repair service. Test rides are available before purchasing.